My Learning are pleased to announce that as part of their Q4 growth strategy for 2013, that their services will be also be provisioned on the cloud. 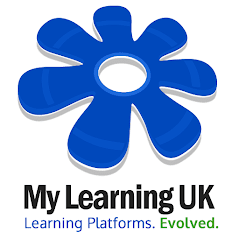 This will provide our existing, and expanding international markets the ability to enjoy the benefits of expandable cloud storage, enhanced resilience and a faster service to geographically closer editions of the My Learning platform. Our technical team have been researching established cloud services during this last year and have recently piloted a scalable edition of our product which has exceeded our performance expectations. During the summer term break, a cloud option will be made available to selected clients whom wish to benefit from many of the improvements which a cloud solution can deliver. As My Learning continues to become a familiar choice for many educational establishments, it is important that we strive to deliver a platform independent web-accessible product for our end-users. Our traditional deployments, such as in-house rack-servers and VMWare platforms will continue to be offered as part of our solution. My Learning provides "Universal Device Login"